Prizefighters are tasked with doing just that -- stepping into the arena and competing for the highest “prizes” available in the sport. 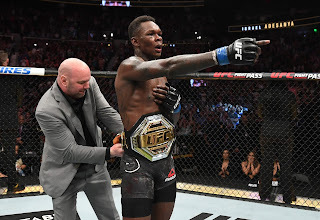 On Monday, the commission released the purses earned by the men and women that competed at UFC 236. 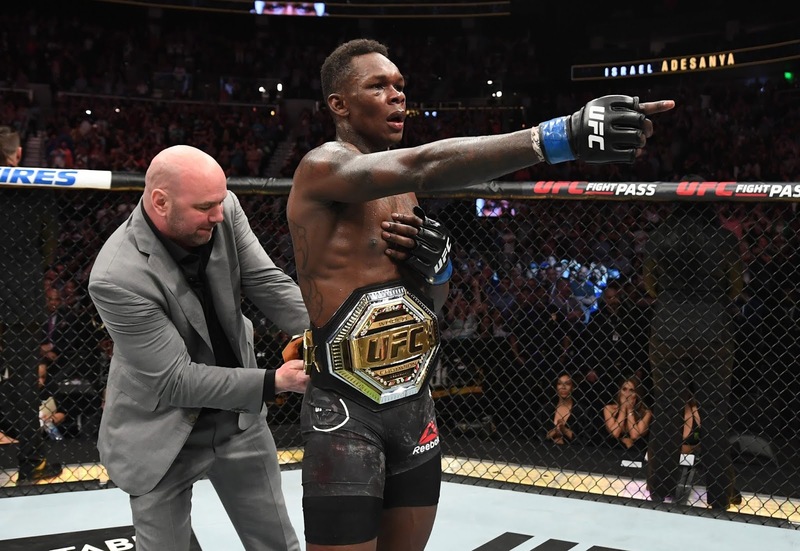 After having watched the spectacles that were the main event and co-main event, many fans and media members lamented that these four men, and everyone else on the card, were paid a fraction of what their skills warranted. However, even if we know that these individuals are vastly underpaid for their contributions to our entertainment, there isn't much that we as consumers of their fights can do when they don’t do enough for themselves. That is the harsh reality for each fighter who attempts to individually face down a challenge that can’t be overcome alone. It has become a frequent occurrence that game-changing decisions are made by the UFC without the input of fighters. The move to Fox, the partnership with USADA, the apparel deal with Reebok, and recently the broadcast deal with ESPN. All of these moves were implemented solely with the UFC in mind, none with the fighter’s interest at heart. When the UFC and ESPN announced last month that their deal had been expanded to include two more years and distribution of all pay-per-views through ESPN+, many questioned the deal's impact on fighter pay, but no one had an answer. And based on the payouts for the first event under this new distribution deal, it seems like the answer to that question is no impact at all. These were the comments of UFC welterweight Alan Jouban at UFC 236 media day; that was before he found himself on the losing end of a split decision to Dwight Grant on the PPV main card. 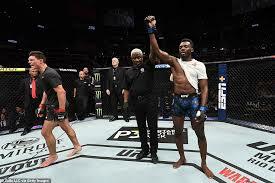 In the aftermath of that crushing defeat, he blamed inexperienced judges for costing him the victory; however, they also cost him half of his pay, as he walked away with only $43,000. The half/half payout structure of the UFC has been a questionable system for a while now, but fighters can do little to change that, other than find a way to win their way to a title bout and renegotiate for flat rate purses. But what happens to fighters who do get to the point of earning a flat rate? 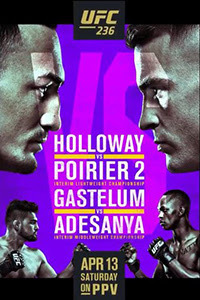 The four fighters at the top of the card -- Dustin Poirier, Max Holloway, Israel Adesanya, and Kelvin Gastelum all earned flat rate payouts ranging from from $150,000 to $350,000. Yes, those are large numbers in comparison to many fighters who toil in the Octagon, but it’s a drop in the bucket compared to the money that the UFC earned on UFC 236. The event drew an estimated 14,297 in attendance for a live gate of $1,908,721. That's comparable to the total of $1,972,000 that was disclosed in fighter pay. However, one must also consider the PPV revenue, sponsorships, and more that come from staging a big UFC event. Fighters earn a very small piece of the pie when looking at the total income that the UFC brings in. Reportedly, under its new deal with ESPN, the UFC is guaranteed revenue equivalent to 500K buys for each PPV event, or $15 million. It’s easy to see the large gap between that amount and disclosed fighter pay. Now this isn’t anything new. Outlets that cover the sport have documented for years just how off fighter pay is from event revenue. But this isn’t a problem that people outside the sport can fix. The power to force change comes from the fighters on the roster -- the men and women who leave a piece of themselves in the Octagon after each outing. Like Jouban, they are leaning on the “hope” that they get a greater share of the revenue, rather than taking action that could lead to some real change. Steps such as signing Project Spearhead cards could be a starting point, but we’ve seen how much of a struggle it’s been for that fighter unionization effort to get off the ground. But regardless of the method they choose to address their concerns, changes to fighter pay is something that the fighters must push for first and foremost, and that’s a message that’s been delivered to them time and time again. 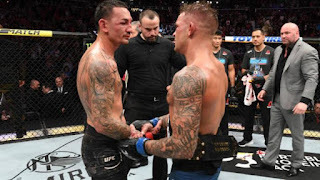 UFC 236 was a night that many will remember for two of the best fights in the UFC in recent years. Two new champions were crowned and nearly $2 million in fighter pay was distributed. But that’s not enough. The UFC continues to reap more and more revenue, but it’s up to the members of the roster to fight for their worth instead of leaning on hopes alone for an outcome.